The metro project has already suffered serious time and cost overruns because of encroachment and land issues Majerhat bridge collapse another issue. 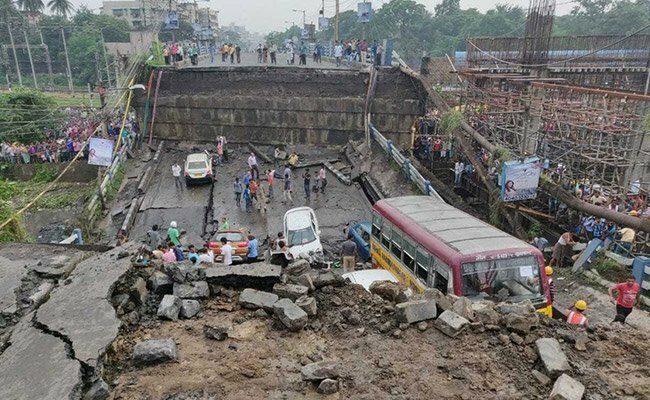 Kolkata: The Majerhat bridge collapse is likely to have an adverse impact on the ongoing 16.72km Joka-Esplanade Metro project by as much as one and a half years. 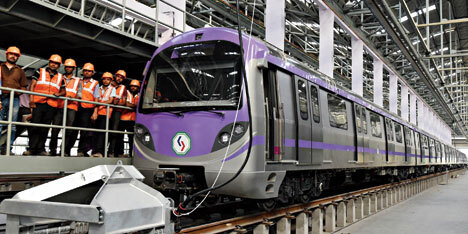 The Kolkata metro project has already suffered serious time and cost overruns because of encroachment and land issues. Construction of Majerhat station and viaduct in front of the Alipore mint, which is in full swing, will get delayed as taking the material to the site will be an issue, with a major part of the site being cordoned off for dismantling the old structure and re-erecting a new one. According to a source in Rail Vikas Nigam Ltd (RVNL), the implementing agency of this project, work next to the spot where the portion of the bridge collapsed may have to be suspended for some days. Significantly, the elevated Majerhat Metro station is being constructed on a plot next to the collapsed Majerhat bridge. “We knew the Majerhat bridge is old and ailing and thus took all necessary precautions so that our piling work does not affect the structural stability of the bridge. But now the collapse becomes an impediment in itself,” said an RVNL officer. For RVNL, the zone had remained the biggest stumbling block, with successive impediments blocking its progress, said an RVNL officer. The mint posed one of the biggest challenges to the Metro viaduct. The ministry of finance had not only objected to the viaduct’s construction in front of the building but had also directed that no station could be constructed within a kilometer on either side. This became a stumbling block, as the site of the Majerhat station is within 250m of the mint.